AVMHA hosted the 2nd Bryan Mason Memorial Cup Tournament on the Family Day Weekend (Feb. 7-9) with 8 teams participating: Alberni Valley Hornets – Alberni Valley Steelheads – Oceanside Vipers – Comox Valley Ice Hawks –Cowichan Valley Blazers – Nanaimo Stars – Sooke Thunderbirds – Vancouver Crushers. In the Round Robin, each team played 3 games. Alberni Steelheads (lost 3 games) and Nanaimo Stars teams placed 4th in their Round Robin Pool and played off for a final 7th or 8th place in the tournament. First period – Alberni Steelheads start the scoring with goals from #5 Nathan Banks, unassisted and #19 Haiden Simpson assisted by #2 Graeme Kamagai. At 6:48 Nanaimo #27 Liam Woods scores a powerplay goal with an assist from #23 Kai Cleave. At 4:44 Alberni’s #2 Kumagai lobs the puck over the goal tender to score, assisted by #19 Simpson. At 1:44 Alberni #13 Riley Styan scores with assists from #14 Skyler Cootes and #15 Hunter Buxton. At the end of the period, the score is Alberni Steelheads 4, Nanaimo Stars 1. Second period – Nanaimo starts off the period with #22 Trey Morrison shooting past the goalie to score, assisted by #21 Mason Scott. At 6:31 Alberni #2 Kumagai scores with an assist from #20 Seth Vallee. At the end of the period, the score is Alberni Steelheads 5, Nanaimo Stars 2. Third period – Alberni’s #2 Kumagai shoots and scores an unassisted goal at 19:04. Alberni’s 7th goal is scored by #20 Seth Vallee with assists from #2 Kumagai and #18 Zakeysha Corey. Its followed by Alberni’s 8th goal from #16 Malaika Stone, unassisted at 13:09. Alberni’s 9th goal was scored at 9:44 was scored by #19 Haiden Simpson and assisted by #5 Nathan Banks. 10th goal was scored at 8:53 by #5 Banks, assisted by #16 Stone. Nanaimo returns with goals at 6:55 from #30 Zac Danley, assisted by #28 Gavin Smith. Nanaimo #46 Austin Green scores a short handed goal at 6:16 with an assist from #20 Nathan Allen. Alberni scores at 3:28 with goal from #14 Skyler Cootes, assisted by #15 Hunter Buxton. At 2:24 Alberni’s last goal is scored by #19 Simpson, assisted by #2 Kumagai Nanaimo scores in the last minute of play with the goal from #22 Trey Morrison, assisted by #28 Gavin Smith. The final score is Alberni Steelheads 12, Nanaimo Stars 5. Penalty summary – Alberni Steelheads had 4 penalties = 8 penalty minutes. Nanaimo Stars had 5 penalties = 10 minutes. Alberni Hornets (won 1 game, tied 2 games) and Vancouver Crusher teams placed 1st in their Round Robin Pool and played off for a final 1st-Gold or 2nd-Silver in the tournament. First period – Vancouver Crushers start the scoring at 8:48 with a goal from #19 Spencer Gorden, assisted by #15 Matteo Crossley. With 2 minutes left in the period, Vancouver’s #8 Jaden Jugovic scores with assists from #15 Crossley and #18 Preetpaul Chhoker and a goal from #17 Steven Tran, assisted by #5 Arlo Spring. At the end of the period, the score is Alberni Hornets 0, Vancouver Crushers 3. Second period – Vancouver continues to score with 5 additional goals. Goal scorers were #18 Chhoker, #19 Gorden (2 goals) and #10 Lucas Grant (2 goals). #15 Crossley and #16 Darryl Kumar each earned an assist. At the end of the period, the score is Alberni Hornets 0, Vancouver Crushers 8. Third period – Vancouver’s 9th goal was scored by #13 Nolan Harris, unassisted. At 8:14 Alberni #18 Carter Elder scores an unassisted goal. At 2:31 Vancouver’s #16 Kumar scored the final goal with assists from #17 Tran and #19 Gorden. The final score is Alberni Hornets 1, Vancouver Crushers 10. Penalty Summary – Alberni Hornets had 8 penalties = 16 penalty minutes. Vancouver Crushers had 5 penalties = 10 penalty minutes. On behalf of our team, Juan De Fuca Bantam C1, please accept our thanks for being able to participate in the Bryan Mason Memorial. On a personal note, I’ve been in hockey way too long and this tournament was the best hockey experience I have ever had with coaching a team. I don’t know where to begin or end; the tournament volunteers genuinely cared and looked after all the visiting players and volunteers – including the fantastic home baking provided – we always felt welcomed and supported, fantastic. The best story was the games – every bench was positive with their players, all officials and tournament officials were treated with respect and courtesy. I really wish I could have brought a documentary film crew with us so we could show it to every hockey family so they could witness what this great sport truly can aspire to. We were fortunate to win this tournament in a shoot-out – however – even if this had gone the other way, nothing would diminish the amazing hockey experience we had in your great community. I can’t thank you enough for the work and dedication it took to put this together, especially in the busy holiday season. On a final note, receiving the trophy from Mr. Mason was absolutely over-whelming to me as a coach and as a father with two boys in minor hockey – it’s obvious that the love this man had for his son was perfectly placed for the love all of you have for your community and your hockey program. I think your hockey family is top notch and we will always treasure the memories we brought back from our time with you. Thank you very much and all the best to you in the future. The Alberni Valley Minor Hockey Association hosted four different Island bantam recreational hockey teams this weekend, in addition to two of its own, for the annual Bryan Mason Memorial Cup tournament, which ended yesterday. The tournament was won by Comox Valley, with the Alberni bantam teams, the Whalers and Timbermen, facing each other on Monday at noon. That game was won by the Timbermen. The tournament is held each year at the Multiplex in memory of Bryan Mason, who died tragically in a motor vehicle accident on March 1, 2011. Mason grew up in the Valley playing minor hockey and attended Alberni District Secondary School, graduating in 2008 before continuing his studies at North Island College’s automotive department. He died at age 21, and his family has since contributed to three educational bursaries to date, and will continue to support education in his memory. The two local bantam teams did not start the tournament the way they would have hoped to. First, the Timbermen fell to Comox Valley 9-0 on Saturday. Kylie Scott was named most sportsmanship player of that game for Alberni, while Haiden Simpson won most valuable player and Skyler Quesnel-Campbell took the digger award. Next on the ice were the Whalers for their first game of the tournament. However, they were handed an 8-2 loss by Nanaimo. Nathan Banks and Joe McAllister scored the lone goals for the Whalers in that game, and McAllister was also named MVP of the game for his team. Lauranna Karlsen won Alberni’s digger award, and the Sportsman award went to Carmen Sanders. Later, the Timbermen lost to Nanaimo by a score of 8-4. Simpson had his team’s lone first period goal, and Jimmy Hassall and Quesnel-Campbell also scored in the second. Kieran Wanner then scored for the Timbermen in the third, but they could not come close to Nanaimo in this one. Alberni game awards went to Emily Rathbone (digger), Jacob Price (MVP) and Lauren Ivezich (sportsman). Next on the ice were the Whalers, who were also dealt a lopsided defeat, this time to Campbell River. McAllister scored both his team’s goals, while Jakob Gaudet was named MVP, Garrett Welsh was named the digger, and Nic Field was named the sportsman of the game for the Whalers. The next day, the Whalers again took to the ice to take on Campbell River and were able to keep the score down, but still lost 3-1. Scott scored Alberni’s first goal, and the first goal of the game, but unfortunately for the Timbermen it was the last. Annika Johnson (sportsman), Emma Eaton (MVP) and Wanner (digger) won game awards for the Timbermen. In the next game of the day, the Whalers fell 7-0 to Juan de Fuca as Welsh (MVP), Tristan Clydesdale (digger) and Karlee Simpson (sportsman) took game awards for their team. The Whalers and Timbermen took on each other in their final game of the Bryan Mason Memorial. This one was closer than any games either of the two teams had played all tournament. The game started at noon, and both teams played to a scoreless tie in the first period. However, the Timbermen took the lead in the second period while killing a penalty. The Timbermen then added another goal later in the game to take a 3-2 lead into the final period of the tournament for both teams. In the third, the Whalers managed to get on the scoreboard, scoring two goals themselves and winning the period. The game, however, was won by the Timbermen who scored the goal they needed to beat their association rivals on Monday afternoon. News@avtimes.net 250-723-8171 ” We want to hear from you. Send comments on this story to news@avtimes.net. Letters must include daytime phone number and hometown. While most Alberni Valley Minor Hockey Association teams are competing in tournaments over the winter break, they all take a break from league play for the holidays. So far this season, all of the minor Bulldogs teams are competing hard in their respective divisions, with two teams playing above their Tier 3 classifications. In Peewee, the Bulldogs are in second place in the Vancouver Island Amateur Hockey Association’s Tier 3 league, tied with Tri Port with nine points through eight games. The Peewee A Bulldogs have a record of four wins, three losses and one tie, with 36 goals for and 37 against. Their biggest win of the season game in a 9-2 victory over the Victoria Racquet Club’s Tier 2 squad. Their next game is on Jan. 11, on the road against Cowichan Valley, which has a four-point lead in the standings over Alberni. The AVMHA this season was able to dress two bantam rep teams. The Bantam A Bulldogs are played up a division in Tier 2 and have been successful so far, sitting in third place in the seventeam league, with a record of 5-3-3. Despite sitting three points back of Comox Valley Tier 1 and two points behind Campbell River Tier 2, the Bantam A Bulldogs have two games in hand on Campbell River and one on Comox. Their last game was a 5-1 win over Campbell River. They next play at home on Jan. 19 against Powell River. The Bantam B Bulldogs are in third place in the five-team Island Tier 4 league with a record of 4-6-0. However, they are the only Tier 4 tam in the league. At the break, the Bantam B Bulldogs are trailing first-place Saanich by nine points. The Midget A Bulldogs are once again playing in the Island’s top league, the VIAHA midget Tier 1 (two tiers above their classification). However, after winning the Tier 3 provincial championship at home last season, they are not having the season they would have hoped to enjoy so far. Through nine games, they have a record of 1-6-2. Their next home game is on Sunday, Jan. 12 against the Victoria Racquet Club. And while the local rep teams take a break from league play, the AVMHA is hosting two bantam tournaments this winter break. The first, the Bantam Recreational Tournament, runs from Dec. 28 to 30 at the Multiplex while the second, the New Year Classic Bantam Tournament takes over the Multiplex from Jan. 3 to 5. School will soon be out, but local minor hockey players won’t have a lot of spare time on their hands with three tournaments this winter break at the Alberni Valley Multiplex. Tournament season begins on Saturday with a two-day Novice Hockey Jamboree. The jamboree features three Alberni Valley novice teams – the Blues, Devils and Sharks – and also welcomes teams from Comox and Oceanside. The first game of the jamboree is at 8:45 a.m., Saturday in the Weyerhaueser Arena, as is the last game of the weekend, which begins at 4:15 p.m. Saturday. The next tournament of the winter break features bantam recreational teams competing against each other at the Multiplex. The tournament is expected to have a field of eight teams, but the out-of-town teams have not yet been announced. However, both the Alberni Valley Timbermen and Alberni Valley Whalers will be in action over the course of the tournament, which goes from Dec. 28 to 30 at the Multiplex. The schedule for the tournament has not yet been released. The final tournament of the winter break comes in the new year, as the New Year Classic Bantam Tournament takes place Jan. 3 to 5 and will feature bantam Tier 2, 3, and 4 teams, including the Peewee Tier 3 and Tier 4 Bulldogs teams. The rest of the field is not yet available. Check online at www.avmha.ca for updated schedules and results from all three tournaments. What a way to end the season! Our Bantam Team came home from the Powell River All-Star Tournament as Bantam Champions. Way to go! Port Alberni’s Bantam hockey team came back all-stars from the Powell River Bantam tournament last weekend. The young team fought hard all weekend, but the final game was a real nail-bitter. The Alberni Valley was behind 3-0 with 7: 38 left in the second period. Logan Henson scored with assists by Ryan Rae-Arthur and Nick Ross to start the comeback. The tying goal was scored by Jakob Gitelman, with assists awarded to Kayden Terryberry and Nick Ross at 9: 07 in the third period. The winning goal was scored by Logan Henson, with 1: 37 left in the game. Brayden Ward held off the continuous shots fired at him in goal in the last 90 seconds, while Alberni Valley was killing off a penalty and Powell River pulled their goalie so it was six-on-four. It was an exciting end to the tournament for the players, fans and family who made the trip to Powell River. The team is made up of Michael Addy, Tyler Drew-Adams, Rylan Cole, Carson Nicholson, Tyler Mercer, Shelby Clydes-dale, Brittney Savard, Nick Ross, Jakob Gitelman, Brayden Ward, Kayden Terryberry, Ryan Rae-Arthur, Logan Henson, Griffin Dolling, Alex Cochrane, Nick Vincent and Chase Henstridge. They are coached by Rob Cole and Mark Addy. The most valuable players for games one through five were Carson Nicholson, Nick Ross, Brayden Ward, Shelby Clydesdale and Logan Henson. Wednesday afternoon and the Alberni Valley News Bantam Coyotes have the ice to themselves for a practice. 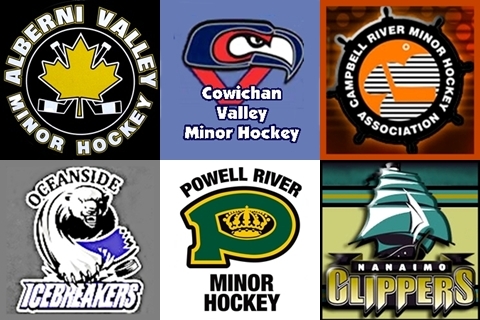 The team has been to 3 tournaments this season (Lake Cowichan, Powell River & Nanaimo). They placed second in the Lake Cowichan tournament. They did not know the exact standings in league play, but they are happy with the number of winning games. They have a good team and good leader in their captain, Nick Ross. The best player at stick handling – Jaden. The player with the best wrist shot – Nick. The most enthusiastic player – Kaden. Alberni’s K&F Roofing Bantam Bruins are having a great season so far. In league play, we are undefeated, however one game was a tie (against the Alberni Bantam Coyotes). The team is playing very well together, under the coaching of Rob Cole and Mark Addy. Our team Captain is Carson Nicholson and Assistants Danial Tavares & Logan Henson. We attended one tournament in Port McNeill in November, where we took first place. More information on the Port McNeill Bantam Tournament – North Island Gazette-Nov 24/11.